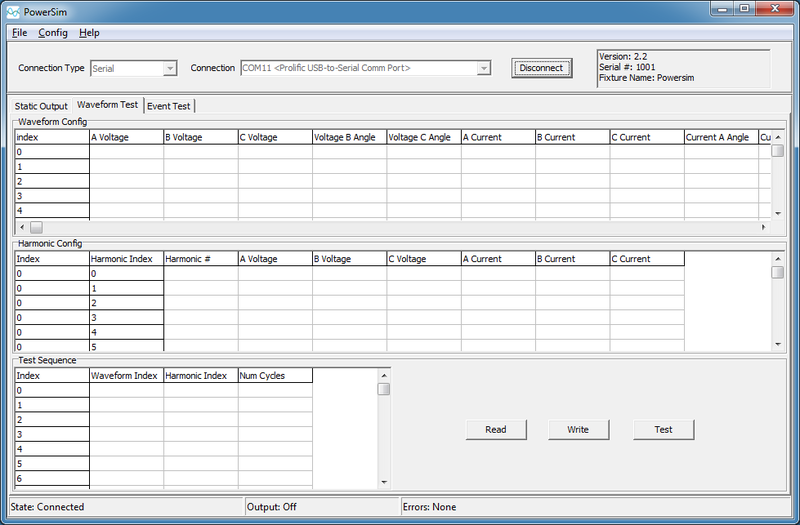 Harborside IntelliArb with the Powersim profile enables autonomous 3-phase power simulation. 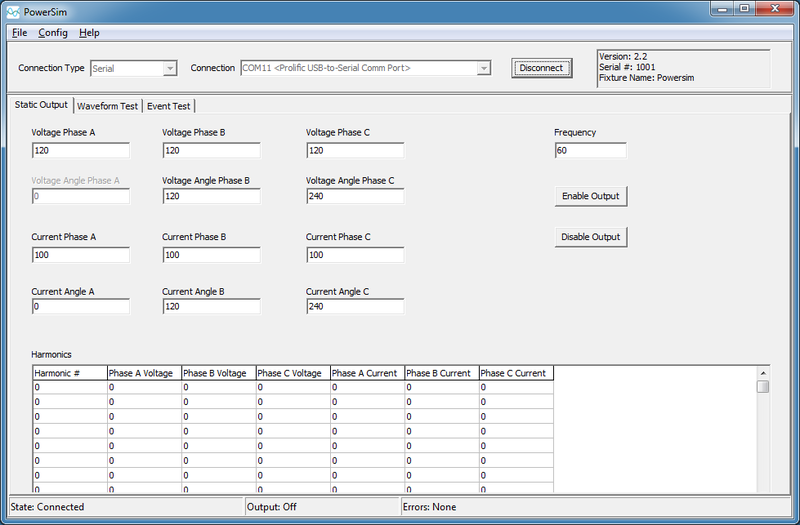 With this best in class waveform generator, users can create any series of power waveforms, making IntelliArb a one stop shop for all 3-phase meter testing. 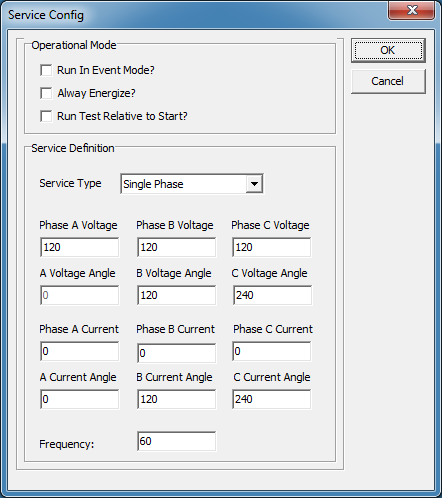 The PowerSim software give you control of the static outputs as well as all the automated test modes. 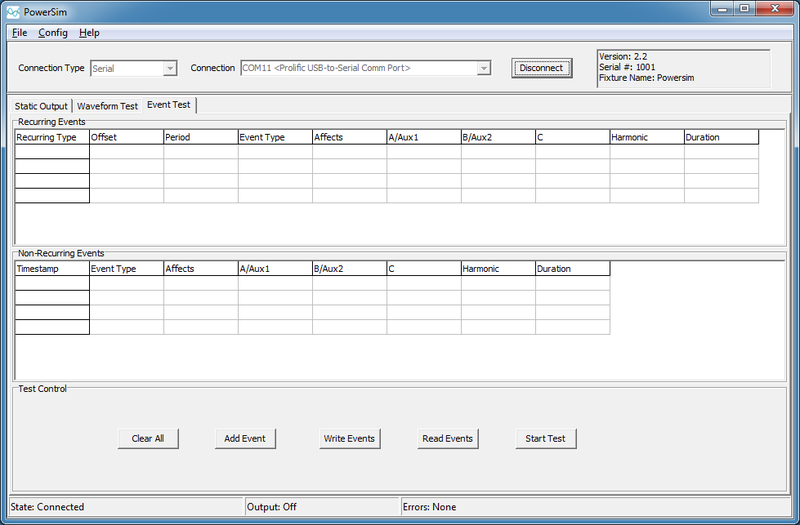 It also allows you to create and save tests that can be used through the automation interface. 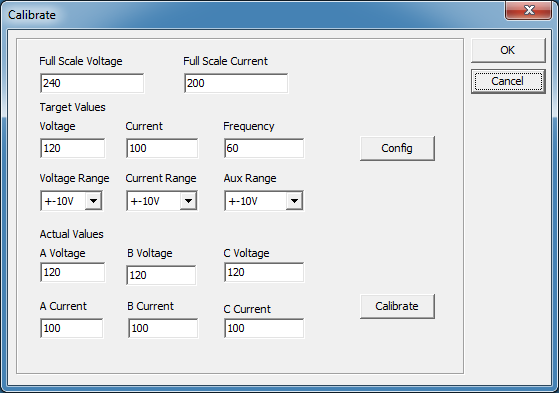 This mode is primarily used for benchtop use where you want to output a static waveform, and validate that your meter is handling it correctly. This view allows you build tests that sequence a number of waveforms together. This can be used for complex benchtop testing, or to build test sequences that will be used in automated testing. 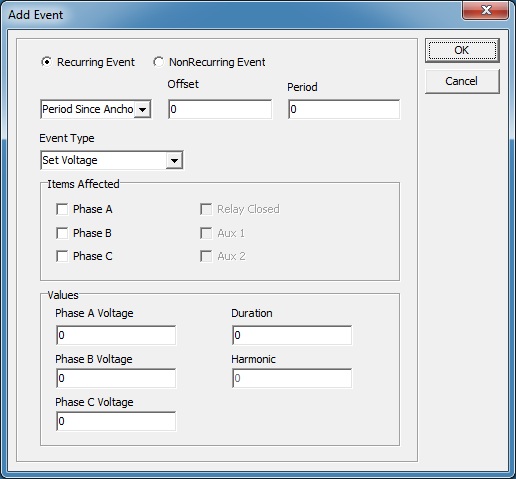 Event tests give you precise control over waveform output, but over a larger time scale. The changes are defined by recurring and non-recurring times in resolution of seconds. This mode is primarily geared at a system level test. An example would be to generate a varying load to test the propagation of load profile through the energy managment system, then layering periodic events (sag, overvoltage etc) to trigger the creation of events. This view allows you to define the base output. This can be used as a starting point for event tests, or for a static load that doesn’t need any external control (it will always power up in that state). 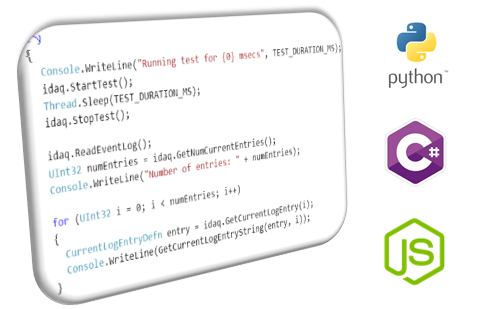 The event tests can be quite complex. This view helps you build them. 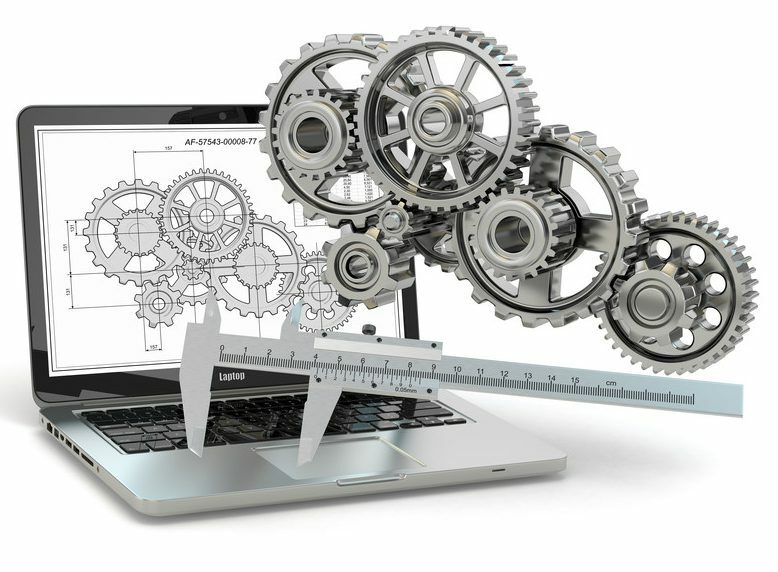 One of the primary values of PowerSim on IntelliArb is the ability to automate your tests at the firmware verification and system verification levels. This allows you to replicate tests on every meter or system change without the fear of human error. Windows COM interface, so that it can be accessed by virtually any windows development environment. Runs identically over a local connection or through network interface. All test configurations are stored in ANSI C12.19 style tables. IntelliArb supports C12.21 and C12.22 communications protocols, so customers can bypass the provided automation interface if they so desire, and use their own tools. Data dictionary for table definitions available upon request. 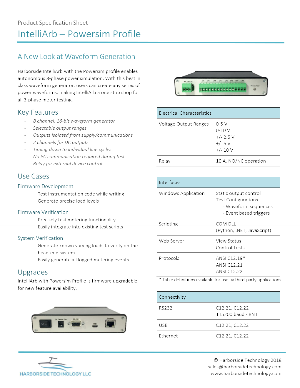 Do you have an application that requires multiple complex waveforms? Would you like precise control that you can’t get with a PC constantly generating and downloading these waveforms? We can help! Bring us an idea that we can also sell to others, and we will develop it, and sell you IntelliARBs at per unit pricing. Bring us an idea that you would like us to develop for only you, and we can do it at an affordable development fee plus per unit pricing. Want a platform similar to IntelliArb, but not quite the same? We can do full custom development!